Only the Kats at AMT could dream up such a wild, shortened V-Dub Superbug Gasser! This one’s been “out of print” since the early 1970s, but the Kats have pieced it back together. Now it’s better than ever! 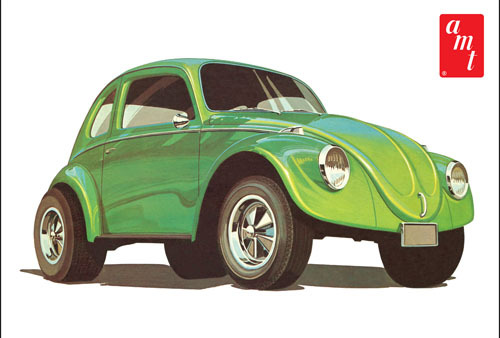 With expanded decal artwork, optional tinted windows and fresh gleaming chrome parts, modelers will “bug out” when they get their hands on this Retro Deluxe gem! It’s even got radically-retro Firestone Supreme “blue stripe/red stripe” pad-printed tires, not to mention beautiful Goodyear Blue Streak drag slicks! It even includes a special reproduction of the vintage original fold-together drag strip display base! It’s Wunderbar! Easy snap-together assembly, no gluing or painting needed. Highly detailed chassis and interior. Custom chrome wheels and rolling vinyl tires. Optional custom peel 'n stick graphic decals. 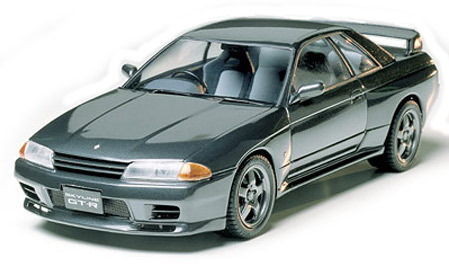 Plastic kit from Tamiya's Sports Car Series. Modeling Suitable for Ages 10 and Older. This is the 1/25 Scale '37 Ford Coupe Street Rod Plastic Model Kit from the California Wheels Series by Revell. Suitable for Ages 10 & Up. Modern independent suspension and choice of wheels. Sculptured interior styling with separate door panels. Detailed small block V-8 engine with choice of intake systems. 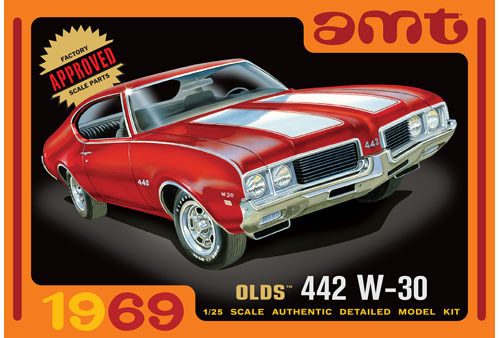 This is the 1:25 Scale '69 Chevy Nova SS Plastic Model Kit from the Revell® Special Edition Series.